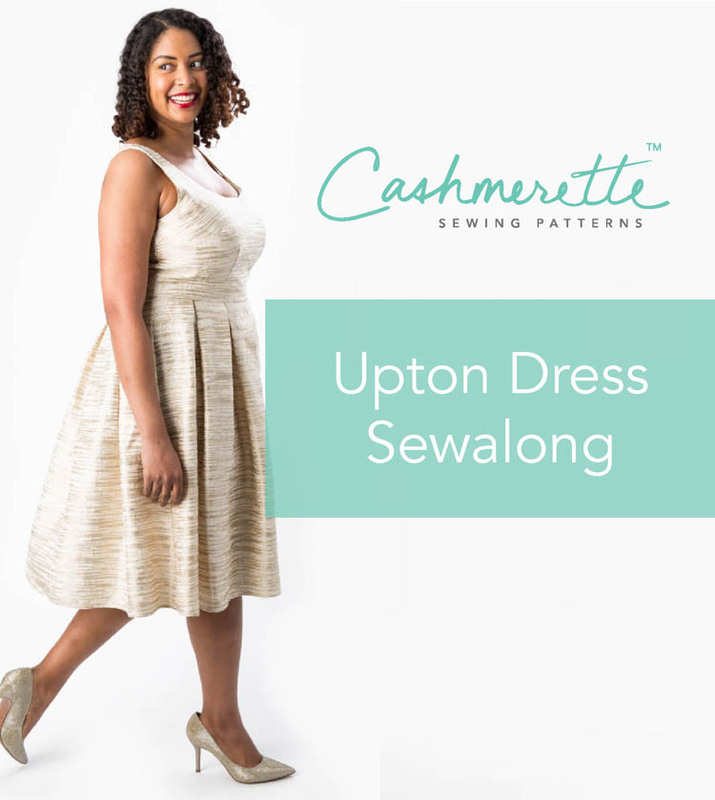 Introducing Cashmerette Upton Dress sleeves! 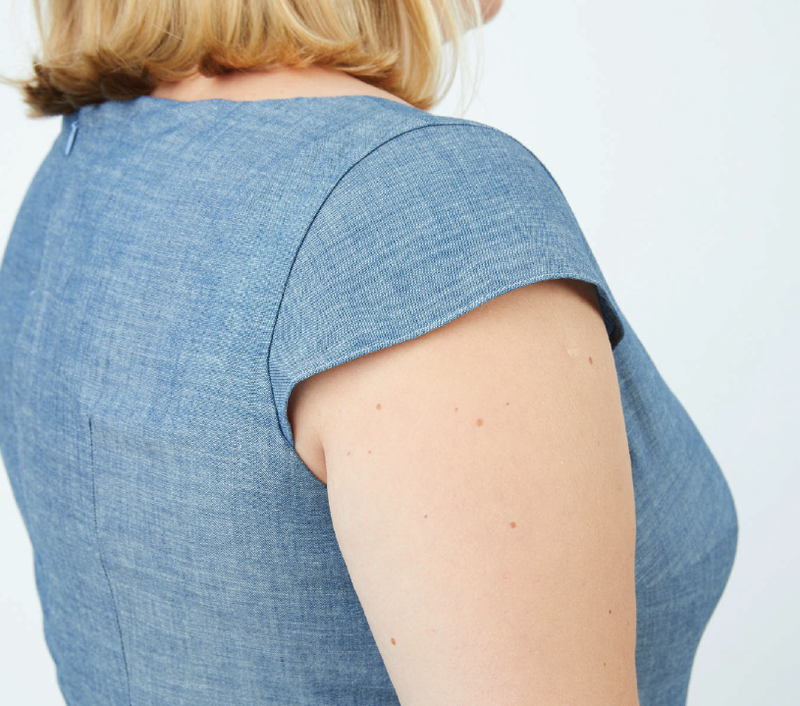 Introducing sleeves for the Cashmerette Upton Dress! You asked… so we made it happen. Ever since we launched the Cashmerette Upton Dress, we’ve had a lot of questions about adding sleeves, so today I’m pleased to announce the Cashmerette Upton Dress Sleeves Expansion pack. There are three styles of sleeve included (cap, tie and flutter), and they all work well with the existing sleeveless armscye without re-drafting! Let’s take a closer look at the sleeves! Our first Upton Dress sleeve is a totally classic cap style which gives a really lovely silhouette and covers up your shoulders. And, it works for the Springfield Top too. 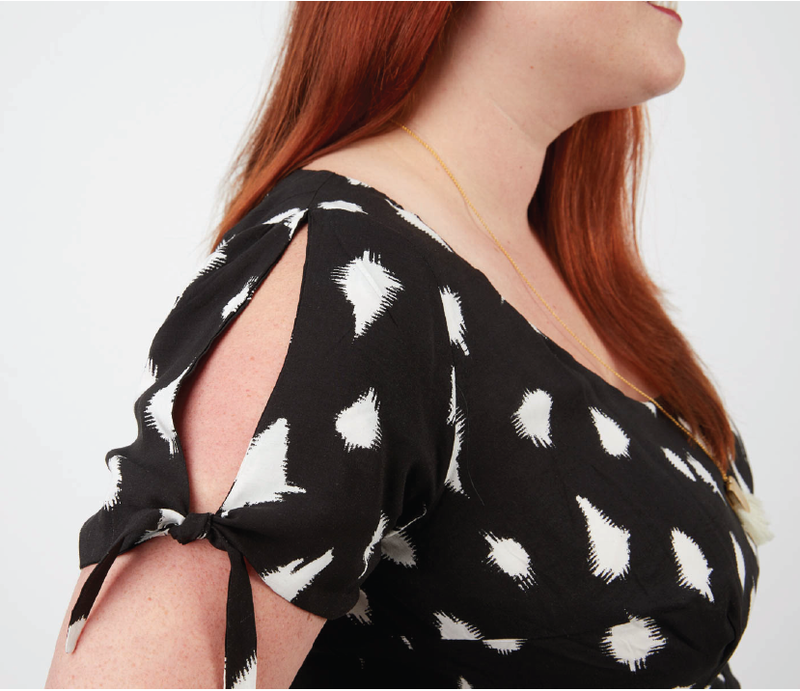 The next Upton Dress Sleeve is a fun tie-sleeve that’s a nod to the cold shoulder trend but with a bit more coverage. The sleeve is fully lined, so you can either use a contrast lining and get a peek of it at the ties, or you can use the same fabric for a sleek look. 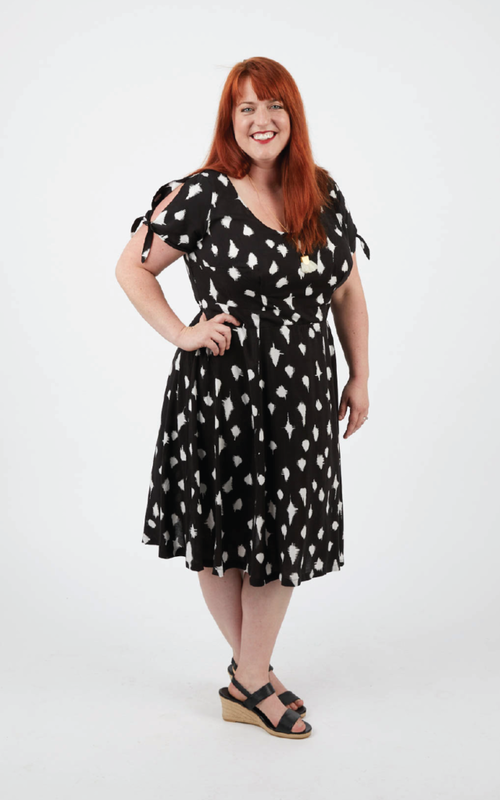 And the final Upton Dress Sleeve is a flutter! This is a full sleeve which is fantastic in drapey fabrics like silk, rayon or chiffon. It’s also easy to shorten or lengthen if you want a really dramatic sleeve look! 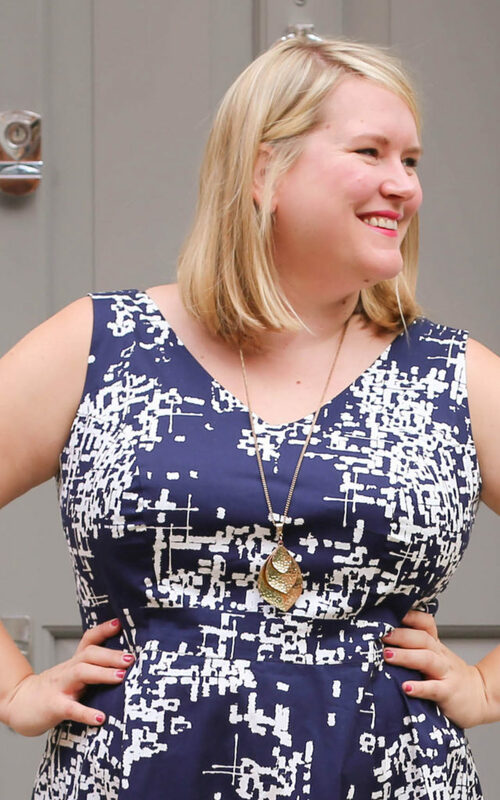 I’m looking forward to seeing all your sleeved Uptons – don’t forget to tag us with #UptonDress when you post on social media! Niiiice! I love the original Upton Dress but the sleeves make it like a whole new dress every time. and I’m all about flutter sleeves these days so this is definitely going on my project list! This is great! I just ordered the paper pattern for the Upton and I can’t wait for it to get here. I wanted to buy it anyway, and just couldn’t say no now! I am also excited to be able to use the cap sleeve with the Springfield, which is honestly my most made pattern. It’s so useful! Happy sewing! Love the sleeves! I also love the Lenox shirtdress and am wondering if the sleeves can be used on Lenox. Thanks for providing such great patterns. 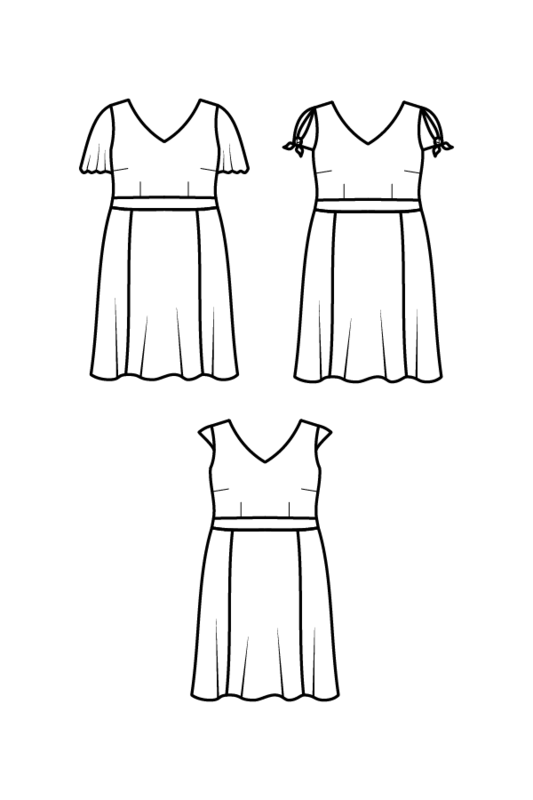 I would love a 3/4 fitted sleeve so I can make a dress for the winter. Thanks for your reply, I will get the knitting needles out and make a pretty cardigan instead. Could I use the flutter sleeve from the Upton on the Montrose top? I was thinking to might work but not 100% sure base on the arm scythe. No, the armscyes are very different.